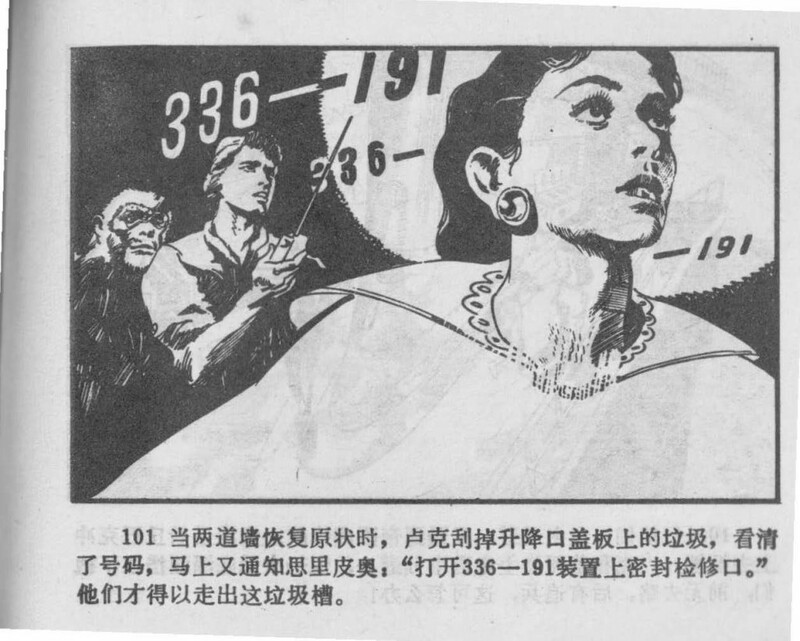 Chinese Star Wars Comic (Part 4 of 6): THX-1138, why have you left your station? 75. 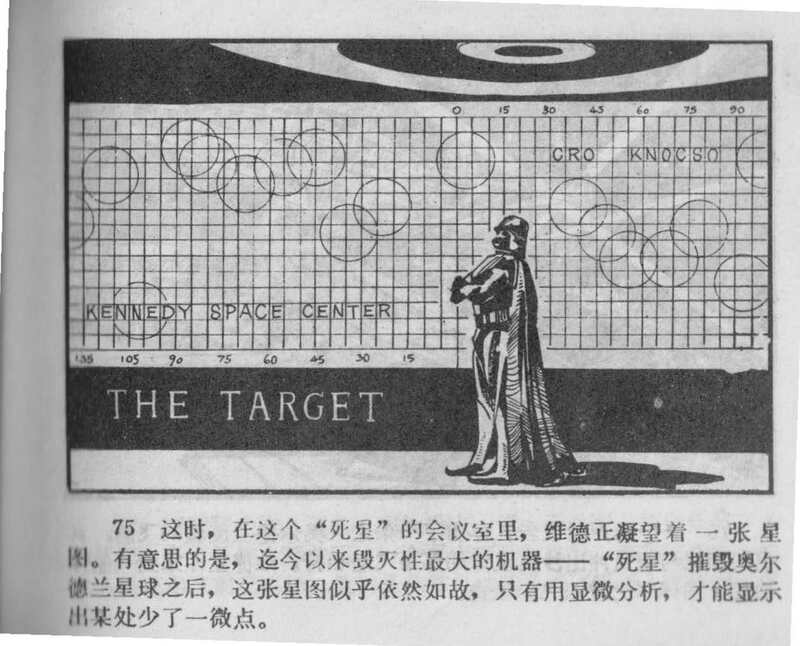 Meanwhile, in the meeting room of the “Death Star,” Vader is staring fixedly at star map. Fascinatingly enough, even after the largest device of mass destruction ever—the “Death Star”—destroyed the planet Alderaan, this star map looks the same as always. Indeed, it is only after careful inspection that it becomes apparent that a tiny dot is missing [from the map]. 76. The loudspeaker announces that a ship has been taken captive in the ruins of Alderaan. The identifying marks match those of the spacecraft which left the desert planet without authorization. 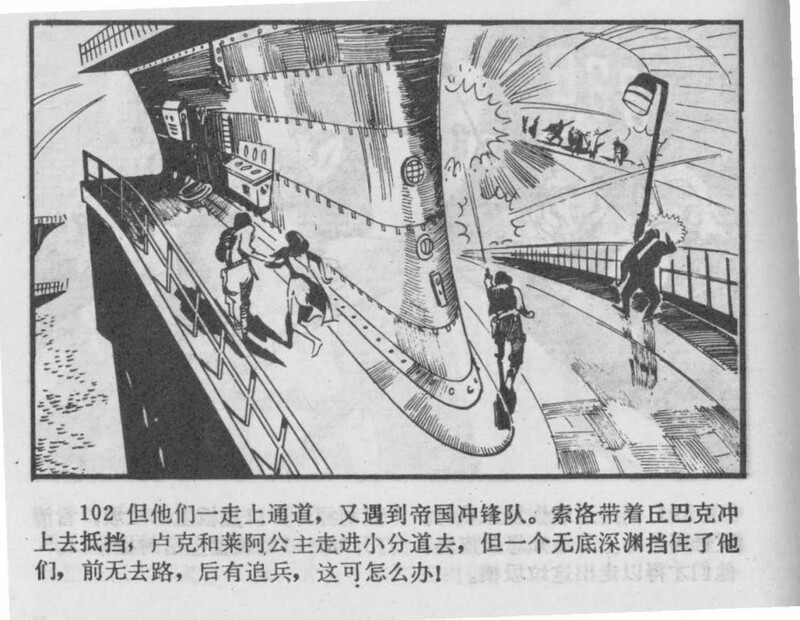 Vader immediately heads to the docking bay (feichuan tingbochu 飛船停泊処) to direct a search of the vessel by the [Imperial] troops. 77. 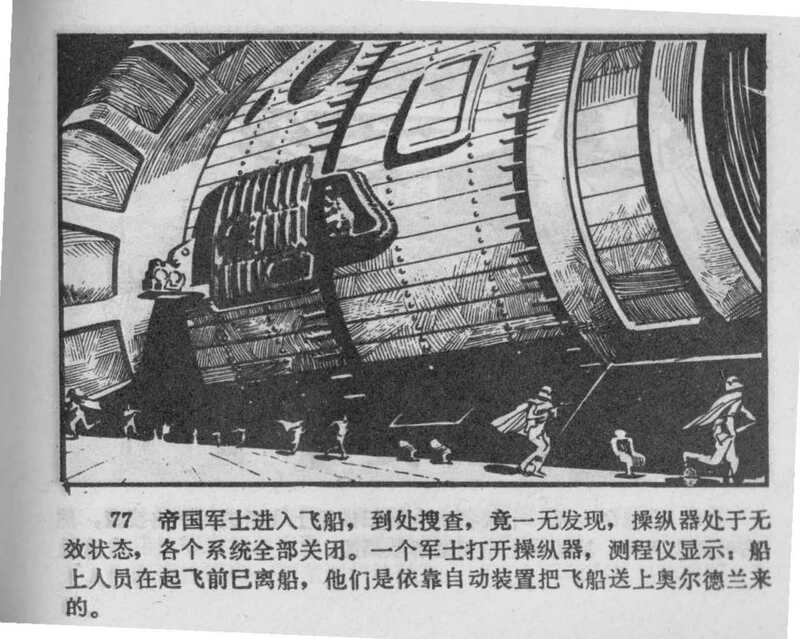 The Imperial Troops enter the spacecraft. Although they look everywhere, they are surprised to find that the ship is empty. The controls are offline and every system is shut down. 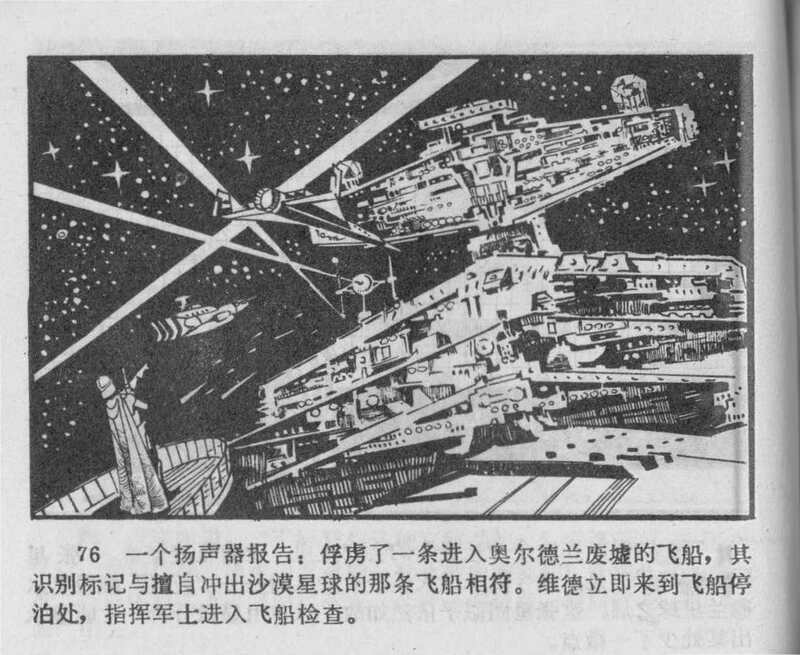 A soldier turns on the controls [only to discover] that, according to the navigation log, the crew of the ship disembarked before the spacecraft took off [from Tatooine] and that the ship flew to Alderaan on autopilot (zidong zhuangzhi 自動裝置). 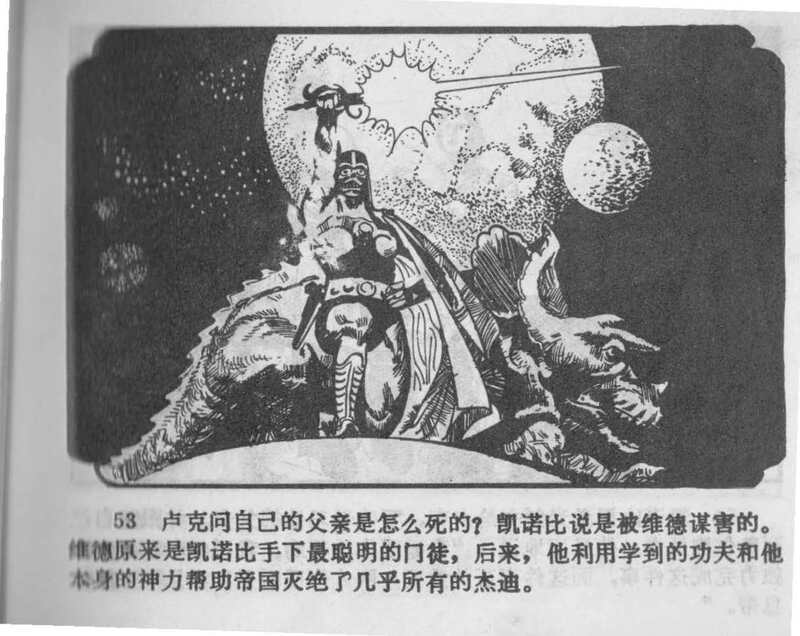 Chinese Star Wars Comic (Part 3 of 6): Once we’ve entered hyper-speed, they’ll never catch us! 52. Kenobi pulls out something which looks like the hilt of sword. 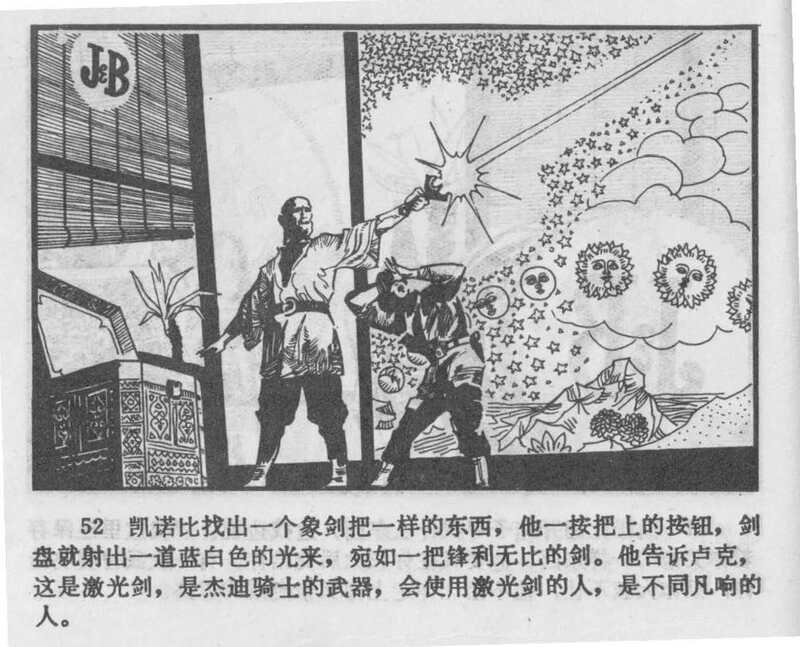 With one press of a button, the guard of the sword [hilt] emits a blue-white beam resembling an incomparably sharp blade. 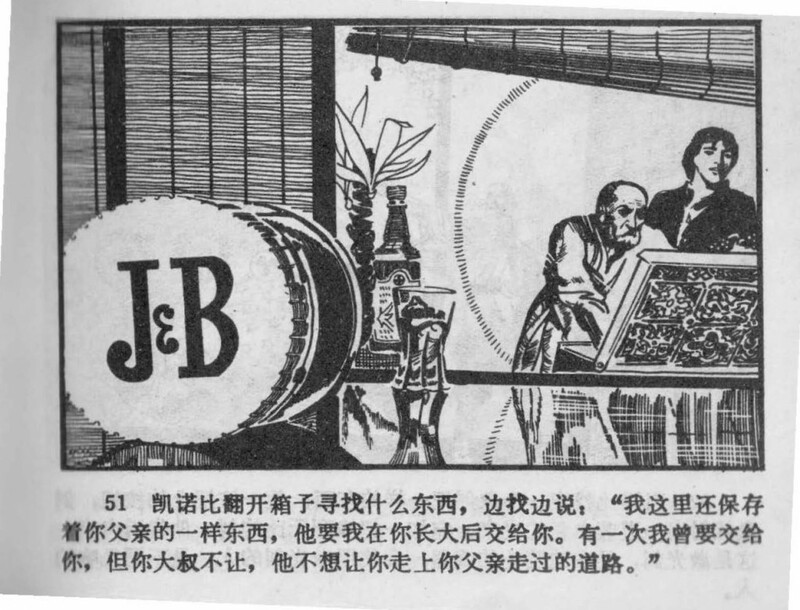 He tells Luke, this is a light saber (jiguanjian 激光劍, lit. ‘laser sword’) , the weapon of a Jedi Knight. 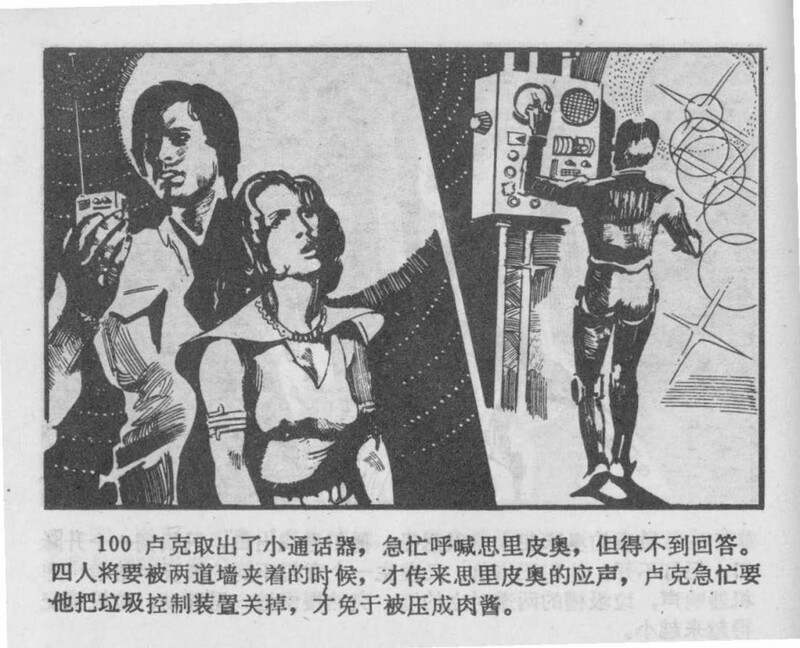 Those who can master the light saber are one in a million (butongfangxiang de ren 不同凡響的人). 53. Luke asks how his father died. Kenobi says he was murdered by Vader. Originally Vader was Kenobi’s brightest disciple, but he ended up using the martial skills which he learned and his own extraordinary innate powers to help the Empire destroy virtually all of the Jedi.